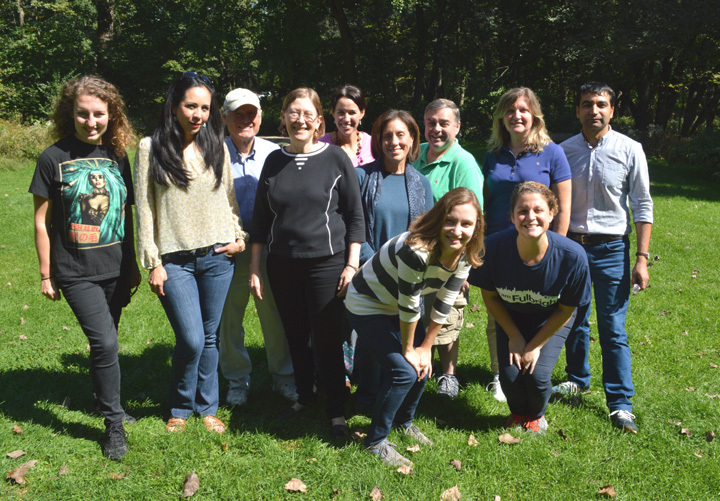 By Jenni Schneiderman and Mary Mares-Awe—THE CHICAGO CHAPTER of the Fulbright Association held its first annual all-member picnic on Sunday, September 20, 2015 in Oak Brook from 11am to 2pm. The balmy weather and sunny skies provided a perfect backdrop for the beautiful, natural setting in Oak Brook’s Fullersburg Woods. 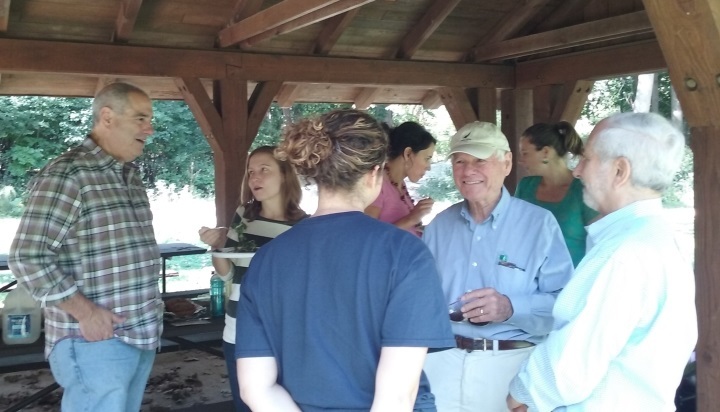 The forest preserve is one of DuPage county’s premier picnic areas and proved to be a great spot for our event. 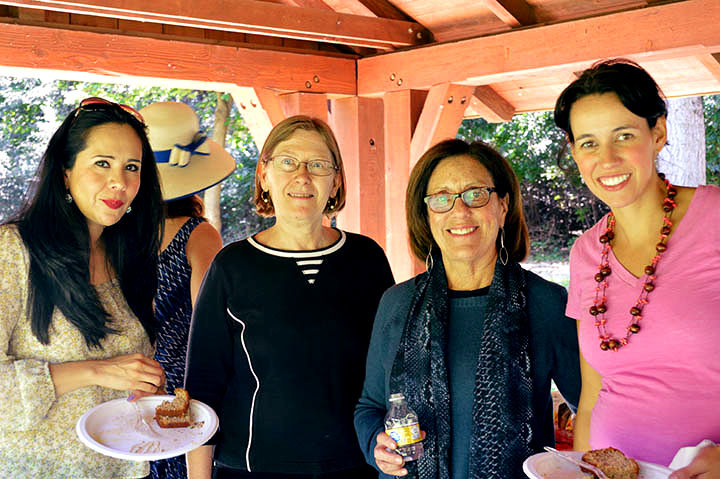 The Chapter provided soft drinks, and attendees brought such goodies as roasted chicken and potato salad, in addition to a variety of salads, baked goods, and sweets. 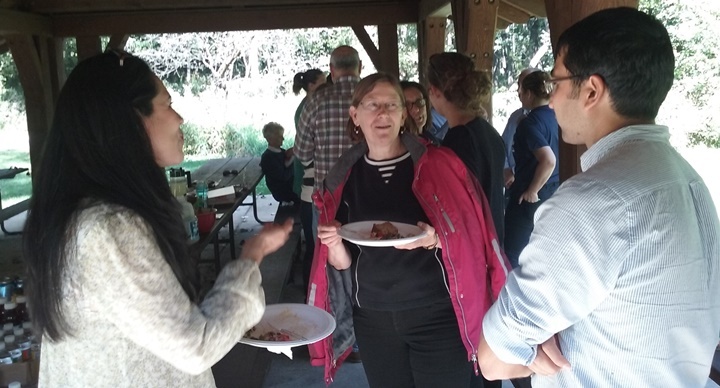 Members of the Chicago Chapter of the Fulbright Association share food and conversation at the picnic. 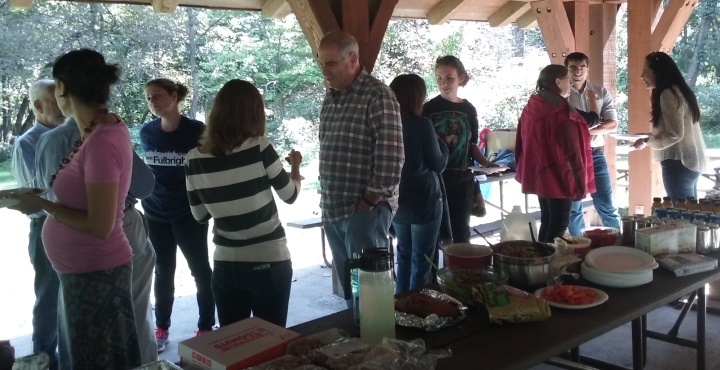 About two dozen Fulbright Association members, some bringing their families, attended the picnic. Several people stopped by for a few minutes, others stayed most of the day. Rick Hallett brought his adorable, one year old twins along with his wife and the rest of his family. Judy Veramendi dressed stylishly in a lovely summer dress and a matching hat—perfect for a summer picnic. Lowell Culver stopped by and told us about the newest book he’s working on. 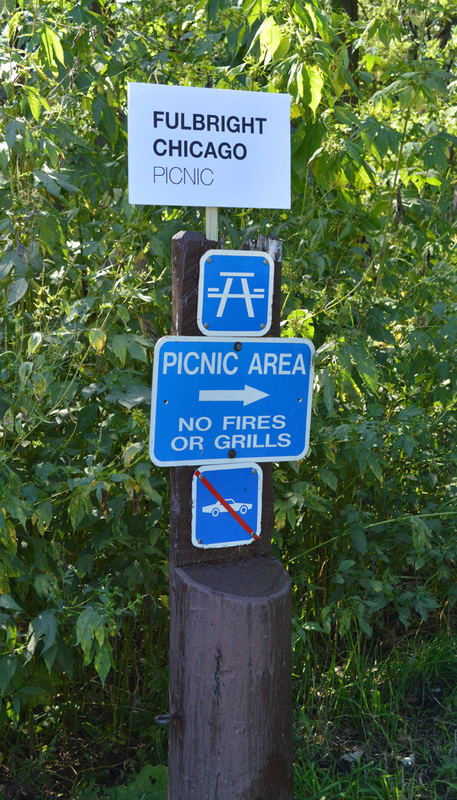 At one point, a woman came up to the picnic area. 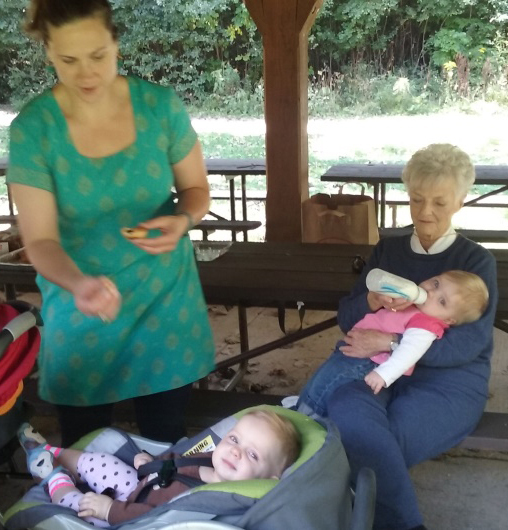 She told us her name is Tara, and while on a walk in the woods with her family the “Fulbright Picnic” sigh caught her attention. 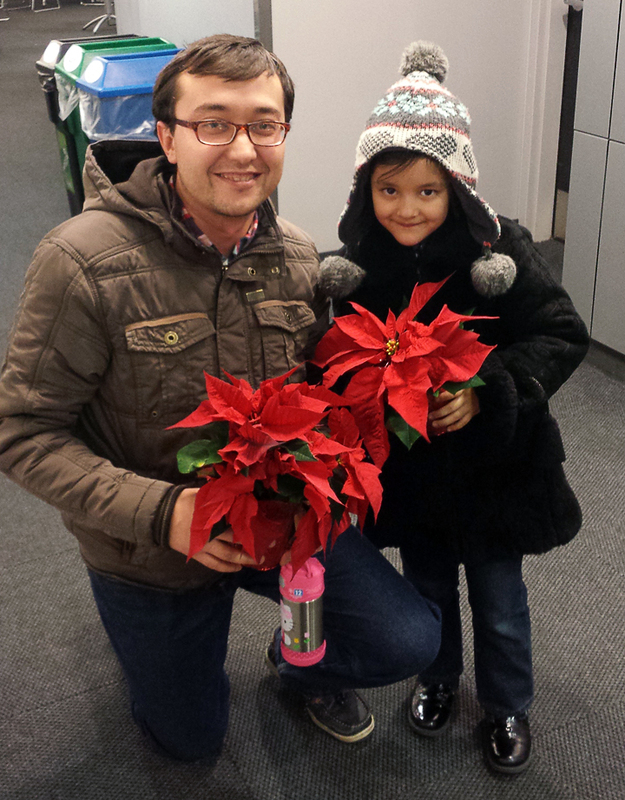 It turns out she’s just returned from her Fulbright in Ecuador—proving the point that Fulbrighters are everywhere. All in all, the picnic was a wonderful event and a day well spent. 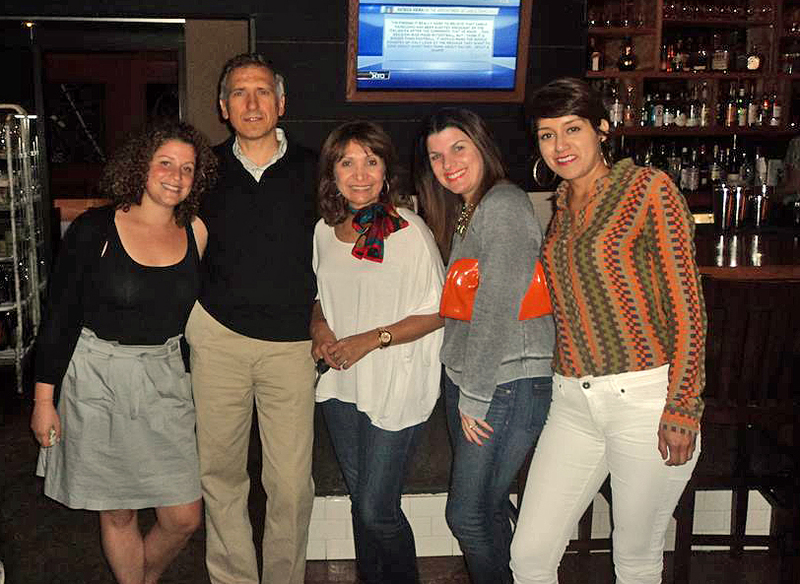 The event was organized by Jenni Schneiderman, Cristina Sisson, and Mary Mares-Awe. We already look forward to next year’s picnic. 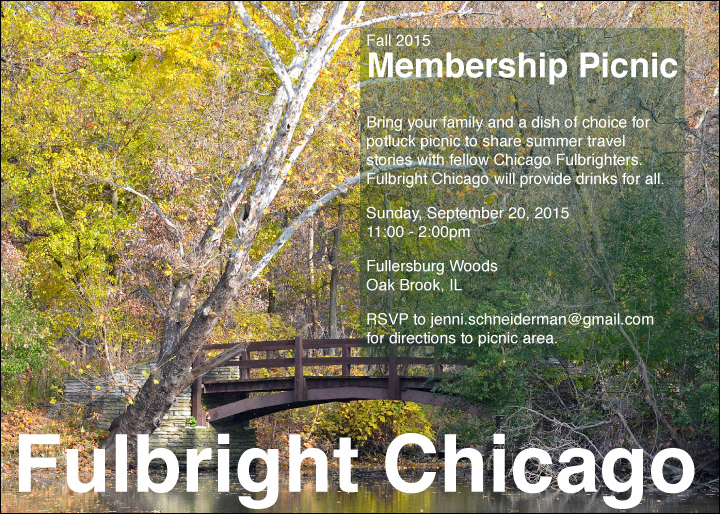 THE CHICAGO CHAPTER of the Fulbright Association invites you, your family and friends to share food and fun in the great outdoors! The Fullersburg Woods is one of DuPage County’s premiere nature areas with winding trails along the creek and a working mill that dates back to the 1800’s. HOW TO GET THERE The picnic area is located at the intersection of Spring Road and York Road. From York Road turn west onto Spring Road and follow the Fulbright Picnic signs. For a map, click HERE. Fulbright Chicago will provide the drinks! 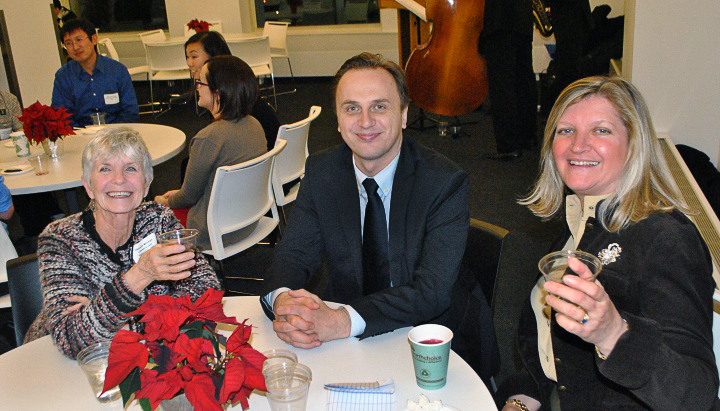 By Mary Mares-Awe—MORE THAN 80 GUESTS attended the annual, end-of-the-year, Winter Holiday reception sponsored by the Chicago Chapter of the Fulbright Association and the Institute of International Education (IIE). 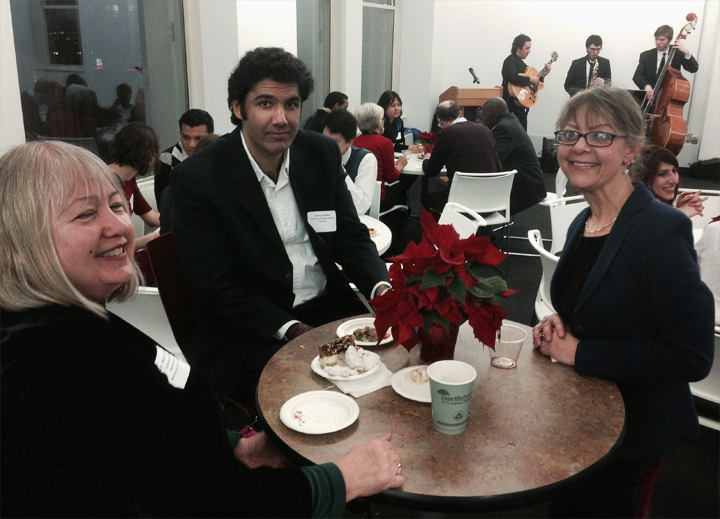 The event took place on Friday, December 12th at Columbia College, downtown Chicago. 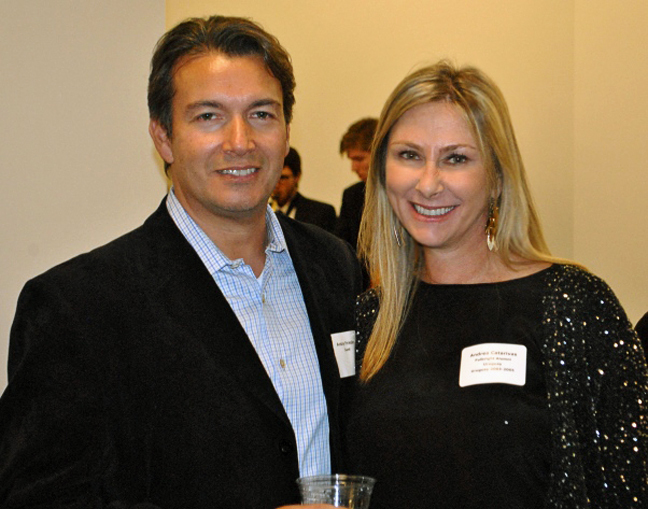 Among those in attendance were Fulbright Association members, board members, friends of Fulbright, alumni, Fulbright scholars from more than 35 countries, as well as consular representatives including the Consul General of France, Vincent Floreani, Consul of Turkey, Ilker Pak, and the Consul of Costa Rica, Javier Rojas. Guests enjoyed several types of wine as well as non-alcoholic beverages and a variety of foods including Vietnamese Spring Rolls, South of the Border specialties, cheeses and charcuterie, salads, and wonderful deserts with beautifully decorated Christmas cookies. 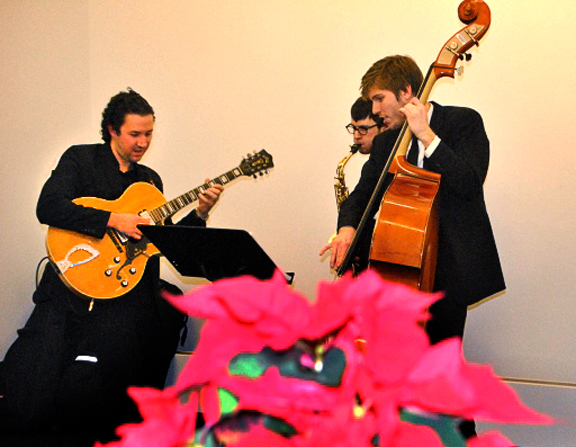 A trio made up of Columbia College Chicago music students certainly did justice to the great American music genre—jazz, adding a festive atmosphere to the event and entertaining guests throughout the evening. 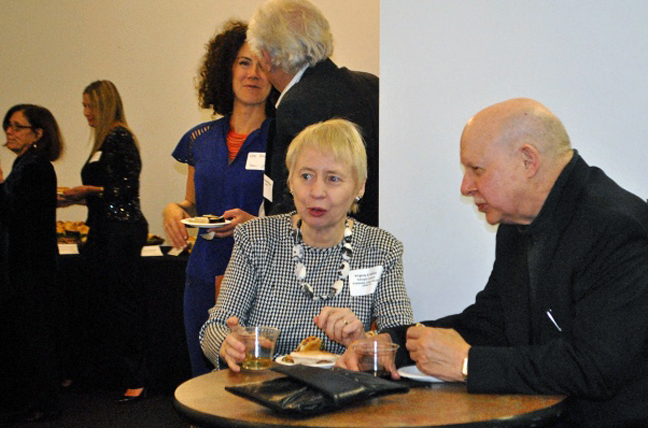 The annual celebrations present a great opportunity to see old friends and make new connections within our Fulbright community. It’s also a time when the Chapter presents the prestigious Dee Sarelas Service Award. This year Dr. Ron Harvey, a psychology researcher at DePaul University and current president of the Chicago Chapter, was the recipient of the award. The other nominees were Cristina Sisson (Argentina 2007,) treasurer of the Chapter, and Don Garner (European Union 2001,) Consular Corps Liaison and past-president 2006. 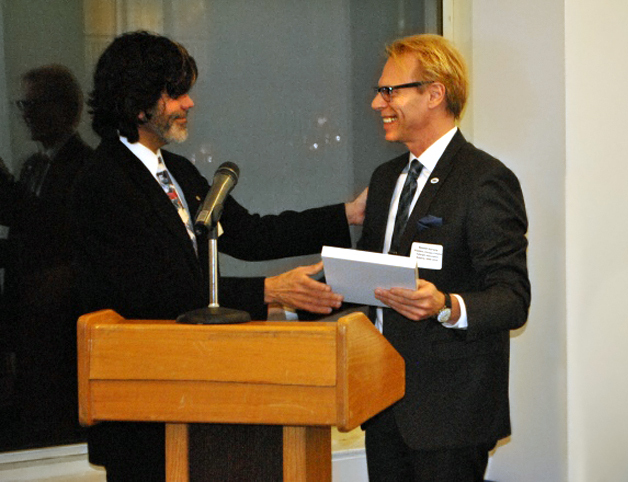 Last year Dee Sarelas Service Award recipient Elio Leturia from Columbia College Chicago, presenting Ron Harvey with the 2014 award. 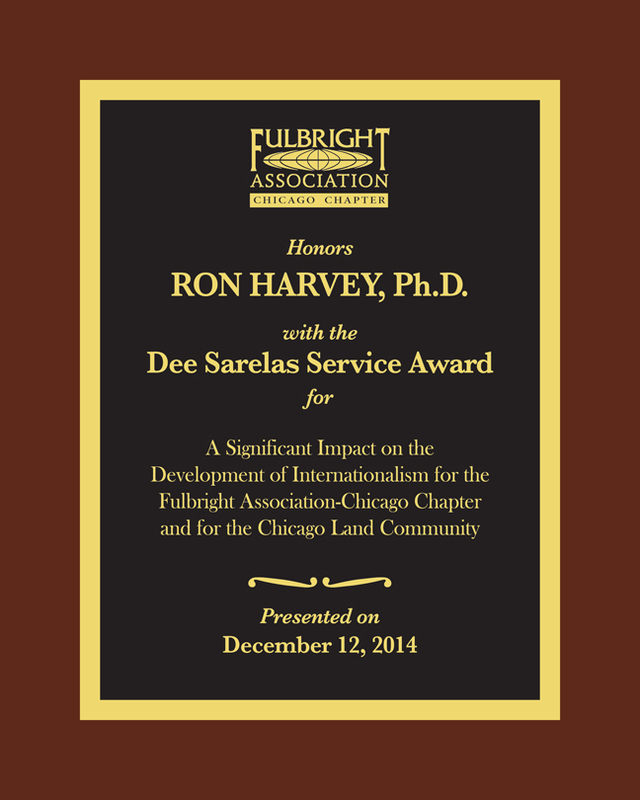 The service award was created to honor the memory of one of the founding members of the Fulbright Association’s Chicago Chapter—Dee Sarelas. Dee is remembered for her unique ability for bringing people across cultures together. In addition to her many contributions, Dee also worked for the American Red Cross, the Salvation Army Training College, and as a liaison at White House conferences. “It’s a real honor to be in the company of such high caliber people who have won the award previously,” said Ron after receiving the award. Some of the past recipients are Marilyn Susman, Thomas Ahleman, Ana Gil-García and Elio Leturia. 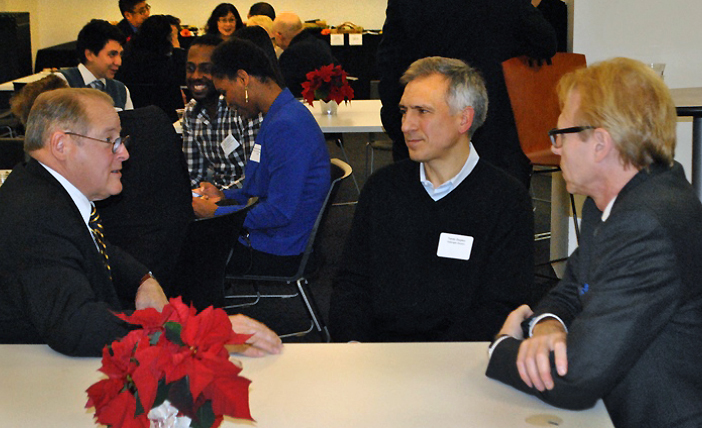 “It’s great that we can do our part to fulfill the Fulbright mission here in Chicago. The honor is a great accomplishment of that. 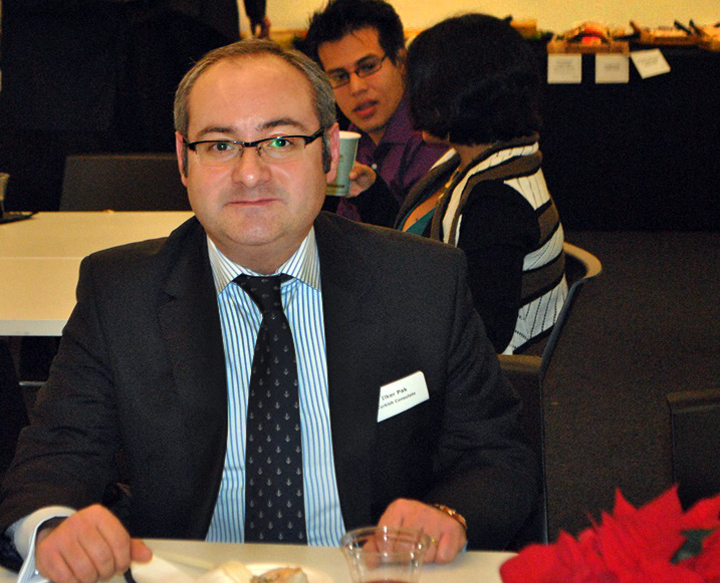 It’s a reminder that you can fulfill the Fulbright mission no matter where you are”, he added. Ron, who did his Fulbright in Bulgaria in 2009-2010, will be leaving for Bulgaria again next year to work on a pioneering project in the field of community psychology. He, no doubt, and true to form, will continue to work in the Fulbright spirit— making the world a better place. 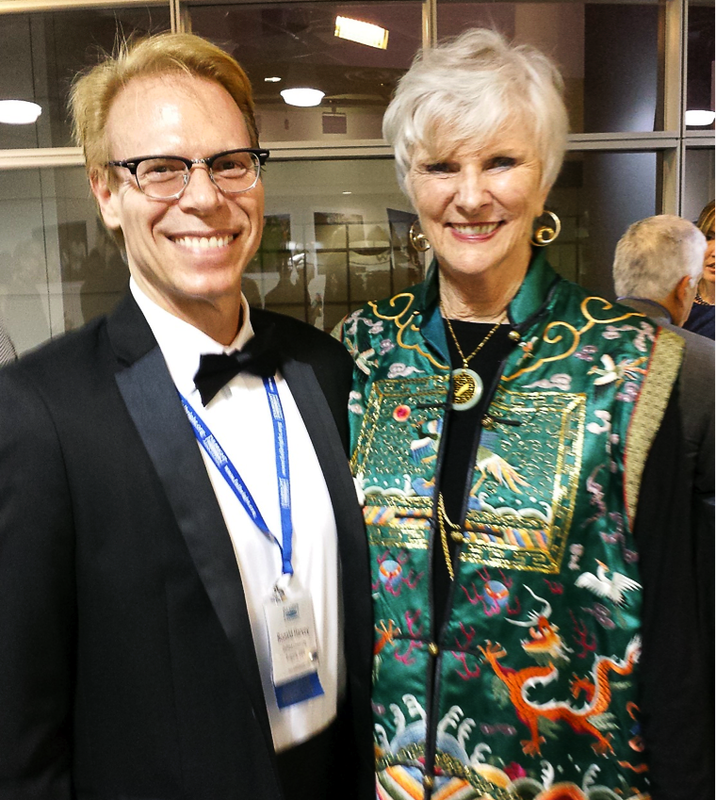 By Ron Harvey—MORE THAN 300 Fulbrighters from around the world attended the 38th Fulbright Association Conference in Washington DC this past October 16-18. Representing our Chicago Chapter, president Ron Harvey, and Director of Membership Jenni Schneiderman attended the conference. Although the theme of the Conference was “Dare to Act,” the words that were repeatedly heard in conversations and presentations were, “Fulbright changed my life,” which succinctly express how the majority of the over 325,000 Fulbright alumni to date feel after going through such an experience. Dr. Hans Blix (Fulbright to USA, 1951), the winner of this year’s Fulbright Prize also said, “Fulbright changed my life.” The Fulbright Prize is awarded every other year since 1993 (the first winner was Nelson Mandela), and “recognizes and rewards outstanding contributions toward bringing peoples, cultures, or nations to greater understanding of others.” Chatting with Dr. Blix for a few minutes was a pleasure. When he learned I was a member of the Chicago Chapter, he smiled broadly and said: “There are so many Swedes in Chicago!” He was especially pleased that our 2012 Spring Farewell event was held at the Swedish American Museum in Andersonville, and said he hoped to take his grandchildren there someday. U.S. 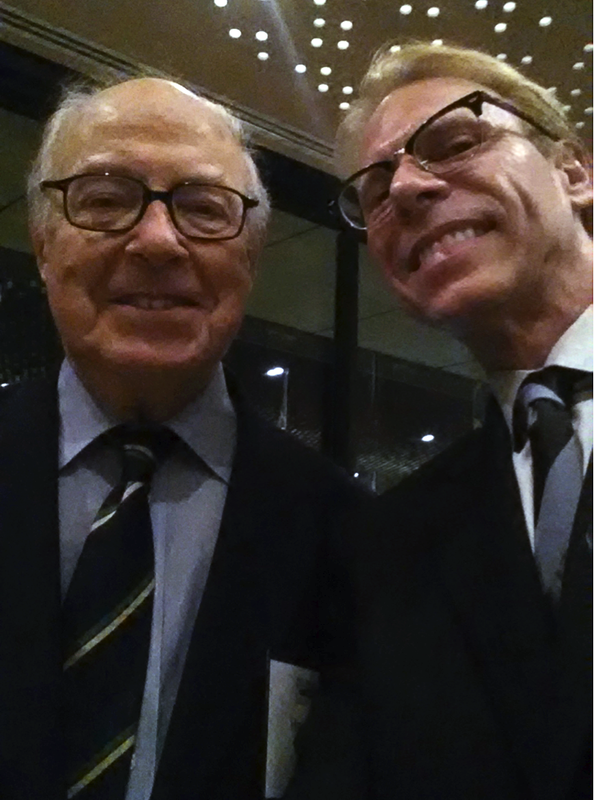 Diplomat Thomas R. Pickering gave the Fulbright Prize to Dr. Blix at the fabulous ceremony on the night of Friday Oct. 17 at the Ronald Regan Building in DC. In his speech, Pickering (U.S. Ambassador to the United Nations 1989-1992, among other appointments) offered a bold suggestion: that the Fulbright Awards should become a permanent endowment of public-private sponsorship and thus no longer face the whims of a budget-conscious and/or politically-motivated Congress. Hearing Harriet Mayor-Fulbright, wife of the late J. William Fulbright, was an inspiration as were a number of the young Fulbright recipients onstage for the ceremony. 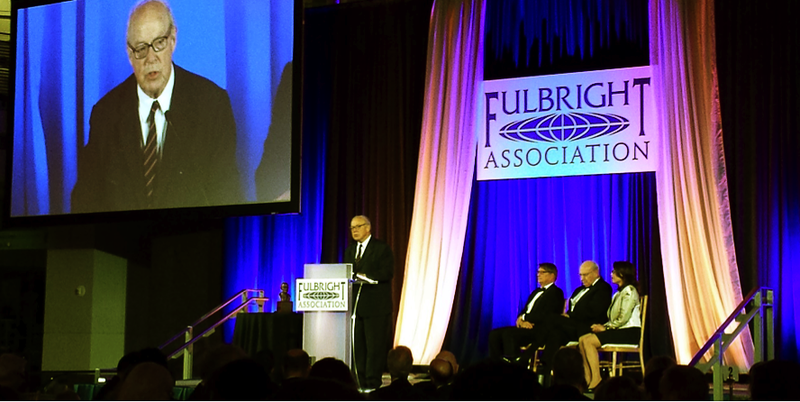 In his acceptance speech for the Fulbright Prize at the Reagan Center, Dr. Blix used language that is familiar to any Fulbrighter about global perspectives, cultural sensibility, leadership, and the humility of being “teachable” that comes with the Fulbright experience. 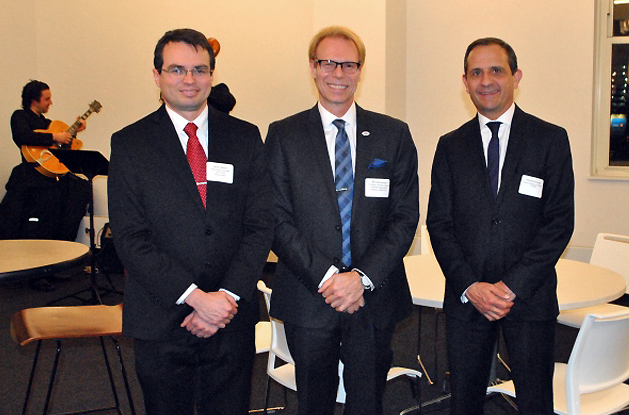 In presentations over two days diverse topics and international experiences were shared. For instance, initiatives that put Palestinian and Israeli musicians together to perform concerts together all around the world could ease hostilities were presented. Fellow Chicagoan Dr. Cecilia A. Conrad, Vice President of the MacArthur Fellows Program spoke about like-minded MacArthur Fellows, epidemiologist Dr. Janine Jagger and musician Corey Harris. 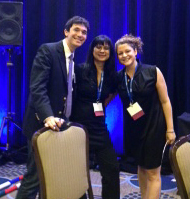 Jenni Schneiderman, Director of Membership of the Fulbright Chicago chapter also presented at the Conference. Schneiderman, a Fulbrighter to Mendoza, Argentina in 2009, presented on her work with Ashoka Start Empathy which teaches empathy skills via a network of Ashoka Fellows and other partners around the world. 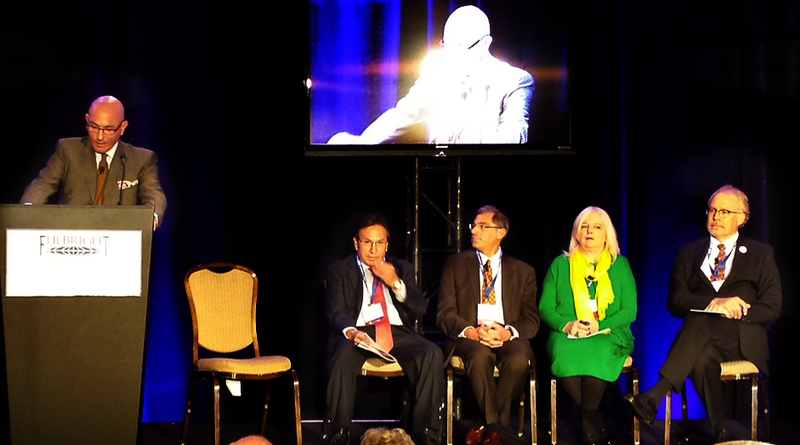 The conference offered a feeling that the basic philosophy of Senator Fulbright lives on healthily to this day: putting people from different cultures face-to-face in the same room with a common purpose to conduct research together – or to sing and dance together – can change the world. Author’s note: Throughout the conference, I met with many Chapter Presidents and officers who face the same challenges as our Chapter: how to support and add value to our current members, how to increase membership, and how to show the value of Institutional membership to Chicago-area universities and colleges. If any of you have ideas on how we can address these challenges, we would love to hear from you (fulbrightchicago@gmail.com). I am in my final two months as President of our Chapter. The next president will face the same challenges and reap the same rewards as I did. I invite you to consider joining the Board. I invite you to become involved with planning our activities bringing visiting Fulbright Students and Scholars together with you, our Alumni and Friends of Fulbright. I invite you to further the Senator’s namesake and mission right here in the Chicago area. 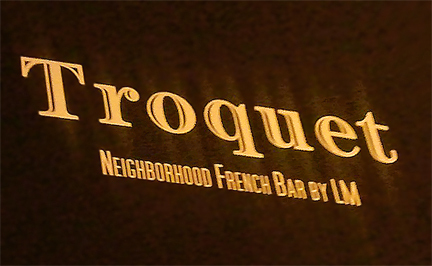 Let’s gather at Troquet next Tuesday! 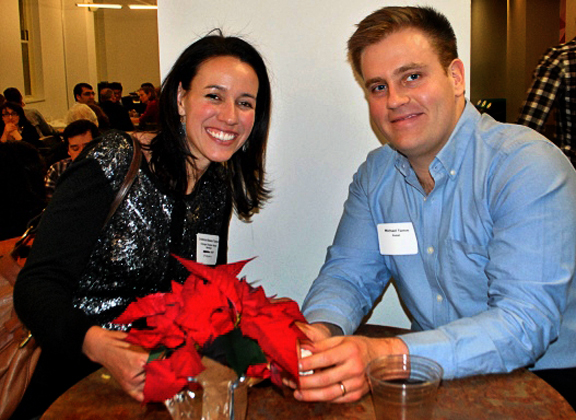 JOIN THE FULBRIGHT CHICAGO Alumni Association for our September membership mixer! WHEN Tuesday, September 9th from 5:30 – 8pm. Join us for drinks and appetizers (House red and white wines $6) after work in the good company of the worldly Fulbright community in Chicagoland. 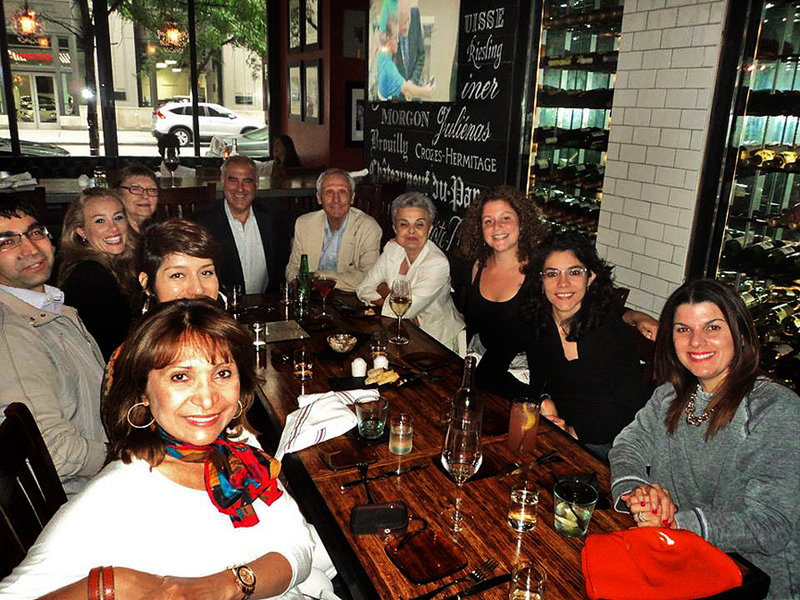 CONTINUING WITH OUR monthly mixers, the Chicago Chapter of the Fulbright Association had its fourth get-together at the Restaurant-Bar Troquet in River North on August 12. There has been four mixers this year so far, chances to meet new Fulbrighters. JOIN US FOR DRINKS AND APPETIZERS after work in the good company of our worldly membership! The weather is beautiful and the location is centrally located and easily accessible. 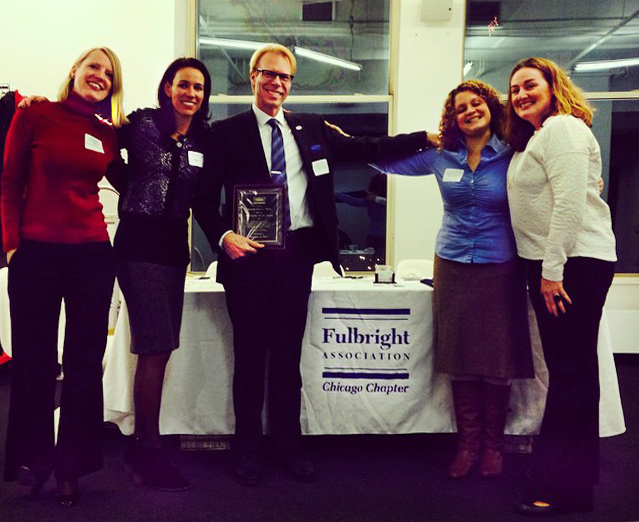 We welcome future, former, new and old members of the Fulbright Alumni Association. House red and white wines $6. Pay for your own drinks and appetizers.